Think you've got Reel Talent? 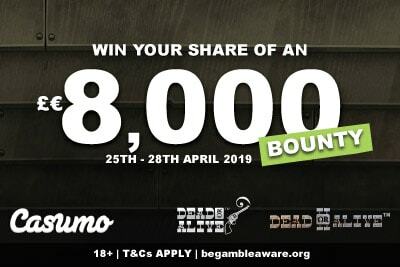 Well, you don't need it to win as much as £€$5,000 in cash thanks to Mr Green casino which is giving away a total of £€$25,000 until the 21st of November 2018. That’s right folks! You’ve got one week to play on the Reel Talent slot by Just For The Win, and when you do, get the kind of cash casting only found in Hollywood. And we’re not talking about winning or losing on the casino game itself. Win or lose you’ll enter this prize draw to win any of the 165 prizes up for grabs. Sounds too good to be true? Probably is, which is why we take a deep dive into this Mr Green promotion and whether it’s worth your while. How much do you need to spend to win prizes? Are the cash prizes any good? Is the slot game any good? Is this a fair promotion with good T&Cs? Will I have the time to play? 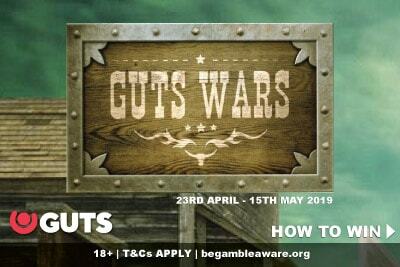 We take a look at each of these and a little more in this promotional casino blog post. That’s how much you need to spend on the new Reel Talent slot to get one ticket into this Mr Green casino raffle. The good news is that these are wagers, not deposits. The bad news is that this is a high variance slot, so you may have to deposit at least that much to make that many bets/wagers. What do we mean by that? Well on most slot machines you can probably make £€$25 worth of wagers using only about £€$10/15 of your real money deposits. How come? Because a wager counts every little bet, you put back in the machine. So if you gamble €1 and win €1, you are even as far as you are concerned. However, when you make your next €1 bet, the machine is counting this as €2 worth of wagers, even though you’ve only spent €1 of your cash. 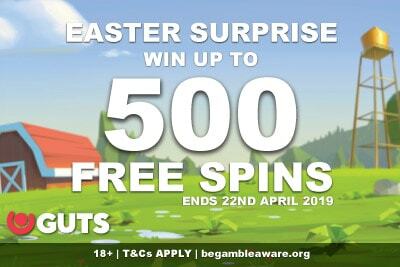 Because this is a higher variance slot game, you may need a little more to get that raffle ticket – or you may get lucky win 1,000 times your bet and get a couple of tickets for playing after that. 2. How much of the £€$25,000 pie can I win? If the stars line up over a blood moon on a solar eclipse while virgins sing out your name in praise… you could win all of it. But it’s doubtful. Every raffle ticket is put into a big green hat, and if you have more than one ticket, you could win more than one prize. So if you are a prolific player, and get lots of tickets, you could theoretically take home a lions share of the pie. That said, having flirted with lady luck for many years and rarely have managed to get her in bed, we’d say that if you manage to win just one of the prizes above, that would be a pretty good day. Reel Talent is the first 5-star slot review we’ve given for the game studio Just For The Win. Who on earth are Just For The Win (JFTW)? Good question. The answer is that they are a small indy studio created by ex-members of bigger studios (can’t name names, but one sounds like “MetEntertainment”) who wanted to make a different kind of slot games. So they struck a deal and now supply all their online and mobile games exclusively to Quickfire (otherwise known as a sub-branch of Microgaming). Because all you need to know is that Reel Talent is a 5×3, 20 payline slot game with a unique symbol collect feature. It’s a simple concept: 3 consecutive wins will give you a superspin. During this superspin, only the symbols collected in those wins will appear on the reels. So if you had three consecutive wins with the same symbol, you’d get a spin where every single symbol is the same – guaranteeing 5 of a kind wins on all 20 paylines. Trust us, it might sound odd and unexciting, but with a fun wildlife karaoke theme and catching those superspins more often than you think, you’ll be as excited as we are about playing the newest casino slots. This promotion is easy to enter; play, get tickets, enter a raffle, find out if you win once the draw has ended. Still, there’s a couple of T&Cs worth mentioning, just so everyone is clear on all the rules. Like we said, not much too it. Just make sure you play on the right game if the Reel Talent video slot appeals to you. 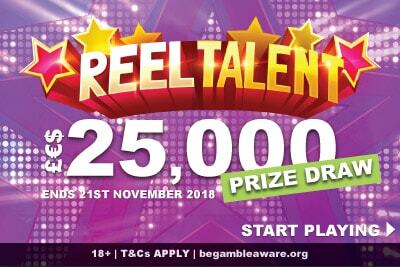 This promotion is available at Mr Green casino, so you not only have to want to play Reel Talent online, but you’ll also need an account with Mr Green casino. As it happens they are one of our recommended mobile casinos online; no surprise there seeing as we only write about the casinos we play, enjoy and have had a good experience. With round the clock customer services, a fantastic selection of games, the thrilling daily Reel Thrills tournaments, and cash outs in 24 hours or less, this is one online casino that ticks every box. Go, have a look around, take their generous welcome bonus and who knows? You might find yourself with some real talent in your hands.